DecksDirect stocks a huge variety of post caps in popular colors, sizes, materials, and styles for any home. Whether you want your post caps to make a statement or simply protect your posts, we can help you find the perfect post caps for your project. 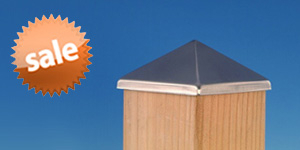 From Metal Post Caps to Wood Post Caps, or even Composite and Vinyl Post Caps, DecksDirect has is all. With the wide assortment of choices, deciding what type of post cap is perfect for you can seem like a daunting task. Building a railing with a combination of wood posts and metal railing infills is a popular way to mix old and new styles. Using metal post caps are a great way to protect your posts while adding a hint of detail. Available in sizes from 2 in to 9-⅝ in, metal post caps can be used on virtually any type of post. With metal post caps available in flat-top, pyramids, or ball-tops, you can get the best look for your deck. We carry metal post caps in many different finishes to match your railing and the rest of your deck. 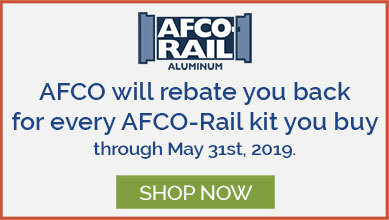 We even carry a few copper and stainless steel options to truly make your posts stand out. Top off your classic wood railing with wood post caps from DecksDirect. Wood post caps are a great way to protect the ends of your posts from moisture and rot while maintaining a consistent look throughout your entire railing. Available in many different styles and in either cedar or pressure treated lumber, wood post caps sustain the integrity and life of your deck. 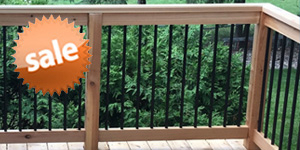 Available in sizes from 3-½” to 9-⅝”, wood post caps offer a stately design without overpowering the rest of your railing. With the wide variety of post caps available from DecksDirect, find the best style and type for your project. At any point in your project, even if you have just a few simple questions, feel free to give our deck experts a call at 1-888-824-5316 or send us an email at hello@decksdirect.com. The size you choose would depend on the outside dimensions of your post sleeve. For us to better understand your project, please give us a call at 1-888-824-5316. Which size do I order?? ?